Barcelona, Spain – January 7, 2014 – Velcro Industries, with its commitment to creating smart products, services and technologies wherever things can be connected, announced a new partnership with the renowned, Dutch baked-goods brand, Bolletje, to enhance packaging for the seasonal Kruidnoten cookie. 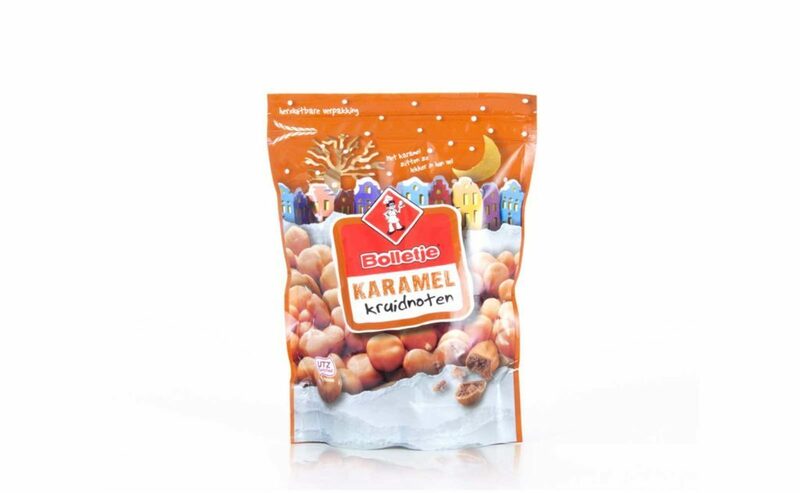 Available for the caramel and chocolate truffle Kruidnoten, the PRESS-LOK® closure packaging provides consumers with innovative closure assurance, ideal for storage at home or on the go. This partnership marks the first time VELCRO® Brand’s PRESS-LOK® has been incorporated into consumer goods products market in the Netherlands, Europe. The closure is already gaining traction in North American markets through partnerships with grocery and home and garden product manufacturers. The PRESS-LOK® closure addresses any chance of package misalignment by containing a series of interlocking micro features that connect at multiple levels, even after repeated use. Bolletje is continually seeking inventive ways for consumers to improve their experience with Bolletje foods, ranging from traditional rusk breads to cookies. For example, the company offers boxes to store its gingerbread and updated its rusk bread to include a finger hole that enables consumers to more easily remove the product from the packaging. The VELCRO® Brand PRESS-LOK® closure system is a proprietary hook-to-hook technology. The closure is a unique solution in the industry because it offers easy alignment that allows consumers to fasten without precise line-up, securing the package with great burst strength. For more information about PRESS-LOK® please visit: https://www.velcro.com/press-lok.